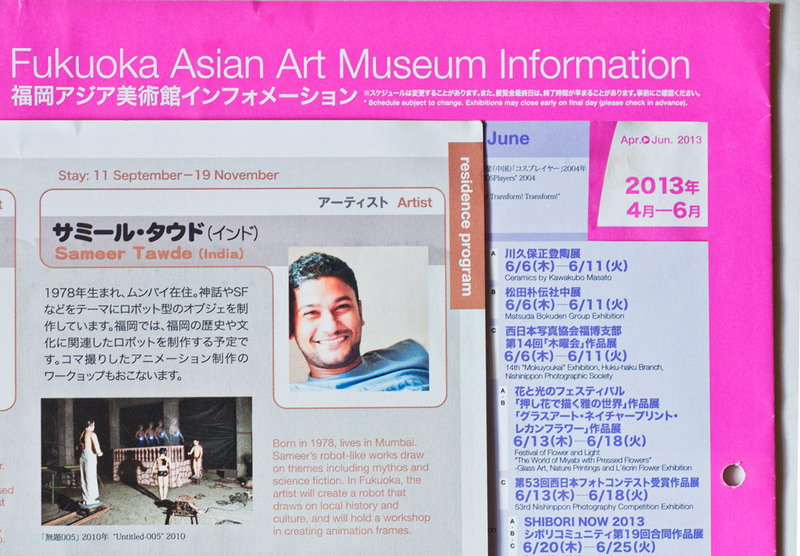 The Artist in Residence Program Fukuoka Asian Art Museum (FAAM) invites emerging artists from Asian countries and regions to promote diverse artistic and cultural exchange programs though art-making and workshops. For this year’s second term of the program, Sameer Tawde from India and Baasanjav Choijiljav from Mongolia were invited and stayed for 70-days. 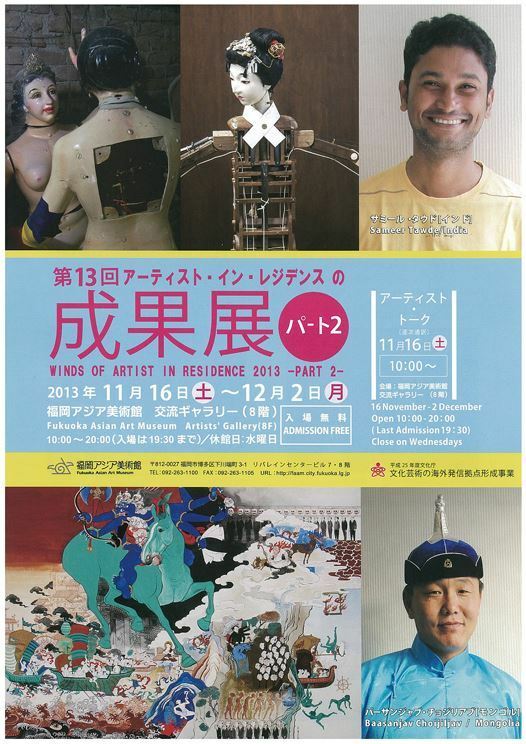 We are pleased to announce an exhibition, Winds of Artist in Residence 2013- Part2-, highlighting the achievements of the artists during their time in Fukuoka. Born in 1978 and based in Mumbai. Born in 1977 and based in Ulaanbatar.